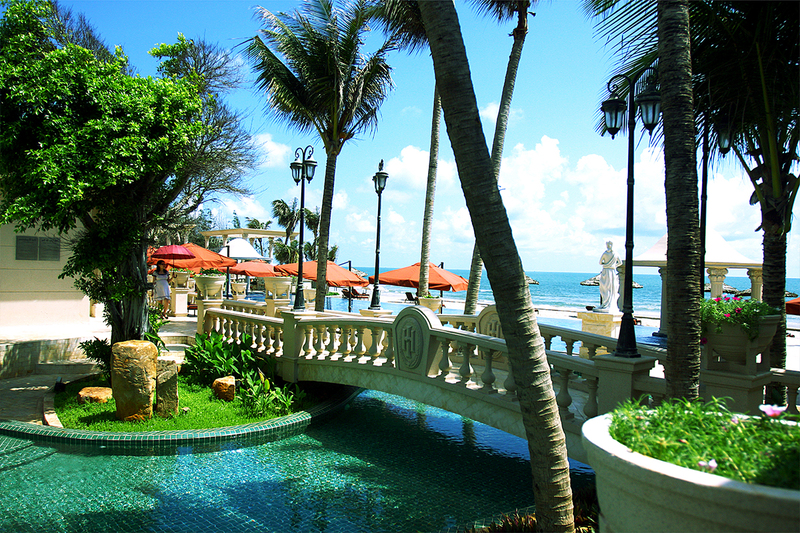 Undoubtedly the jewel of the property, The IMPERIAL Beach Club is a 100 meters private club set directly on beautiful 5 km-long Bai Sau Beach. 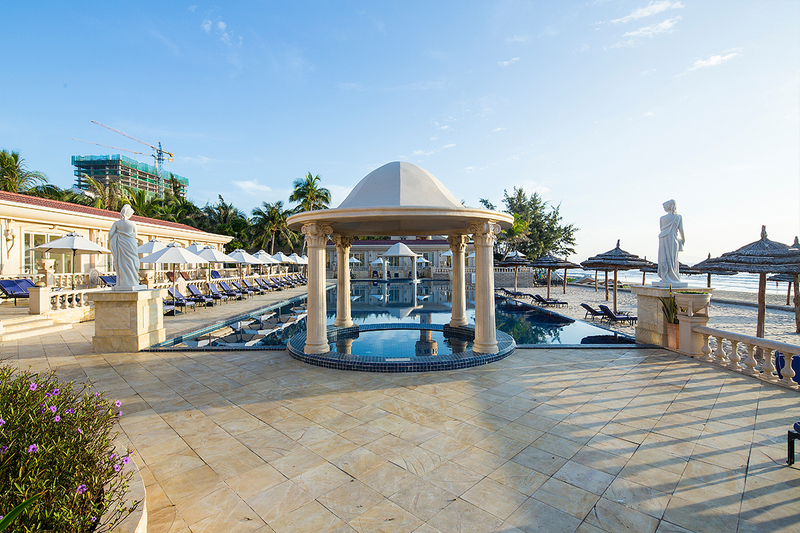 Easily accessible via a 2-minute walk along our Sky Bridge, The IMPERIAL Beach Club takes its inspiration from luxurious Roman baths marked by elegant cream-colored stone, dazzling blue tiles and gleaming white gazebos. 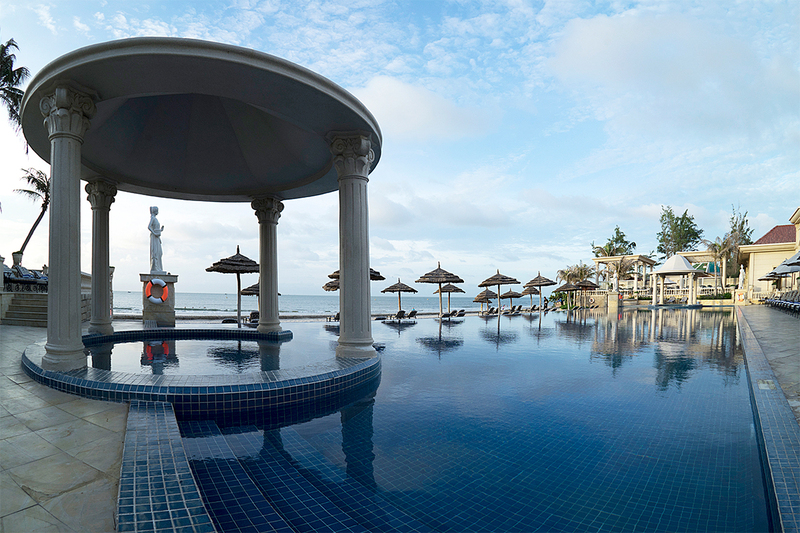 Highlights include wrought iron sun loungers, a children's pool and a stunning 50 meters long beachside infinity pool bookended by Jacuzzis for a truly premium beach experience unrivalled in Vung Tau. 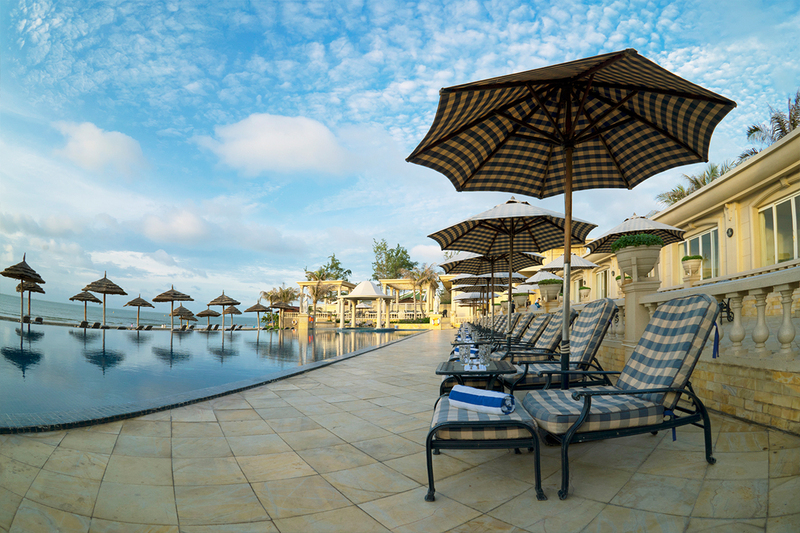 Guests can find seating on loungers placed directly on the sandy beach, surrounding the pool or in private single or double cabanas (available for rent on a half- or full-day basis) equipped with air-conditioning, cable TV and outdoor shower. 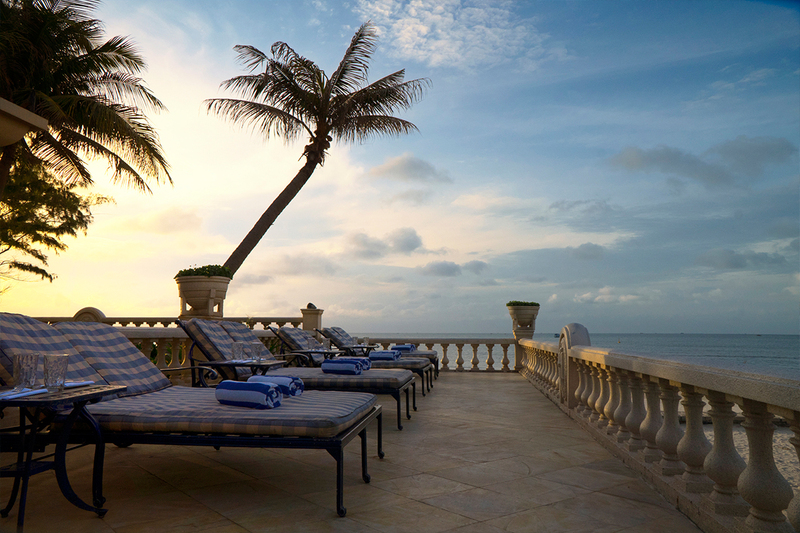 All guests receive complimentary beach towel service and Wi-Fi. Adjacent to The IMPERIAL Beach Club, Hai Vuong Restaurant offers indoor and outdoor seating with views of the beach and specializes in freshly caught seafood. Diners can select live seafood including crab, prawns, oysters and fish housed in tanks right in the restaurant then cooked to order with Vietnamese, Thai and international flavors. For quick bites, the pool menu offers up international favorites including burgers, pasta and salads as well as refreshing juices, smoothies and beer. The IMPERIAL Beach Club can also be booked for events, banquets and beach parties.